ISIS fighters like these, 4000 of them are already in place in western nations, a Jihadist smuggler confirmed. The Islamic State operative spoke exclusively to BuzzFeed on the condition of anonymity and is believed to be the first to confirm plans to infiltrate Western countries, although similar statements have been made through unconfirmed ISIS Twitter accounts. ISIS is believed to be actively smuggling covert gunmen across the 565-mile Turkish border and on to wealthier European nations, the smuggler told BuzzFeed. He said ISIS now has more than 4,000 fighters “ready” throughout the European Union. ISIS operatives are taking advantage of Western nations’ generosity toward refugees to infiltrate Europe, he said. The ISIS fighters use local smugglers to blend in and travel within the ranks of a tidal wave of illegal migrants flooding into Europe, both by boat from North Africa and on land through Hungary and Austria into Germany, Belgium and Sweden. More than 1.5 million have migrated into Turkey alone, with millions more refugees in Lebanon, Jordan and outside their homes in Syria itself. Almost all of the migrants flooding into Europe are Muslims. Most of the Christians have been hiding in churches and homes in the Middle East, afraid to venture to the United Nations refugee camps, which tend to be managed by Muslims, WND has previously reported. “The Christians are afraid to venture into these camps, because they believe they will be harmed” said George Marlin of Aid to the Church in Need, a Catholic group that is sending aid to persecuted Christians in the Middle East. From Turkish cities such as Izmir and Mersin, the Muslim refugees venture across the Mediterranean aiming for Italy, the smuggler said. Then the majority head for the most welcoming nations – Sweden and Germany – turning themselves over to authorities and appealing for asylum. The jihadist smuggler said ISIS has laid ambitious plans for the future of Europe. “There are some things I’m allowed to tell you and some things I’m not,” he said. The revelation came just days after a spokesperson for Islamic State called on Muslims in the West to carry out terror attacks. The jihadist told Western followers if they had the opportunity to “shed a drop of blood” in Western countries – then they should do so. As the standoff in Hungary was brought to the fore of Western media attention this week, an international human rights organization publicly shamed the United States for not doing more to solve the refugee crisis driven by civil war in Syria. The U.S. has agreed to take up to 8,000 Syrians, but that’s not nearly enough, according to the International Rescue Committee. 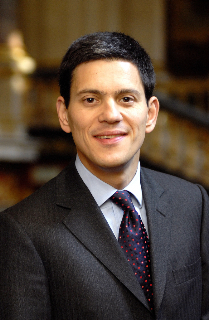 David Miliband, CEO of the New York City-based IRC, demanded in a press release on its website that the U.S. accept 65,000 Syrian refugees by the end of President Obama’s term in office. Miliband’s organization made no mention of the persecuted Christians in Syria. FBI counter-terrorism expert Michael Steinbach told Congress in February it has no reliable way of vetting the Syrian refugees and FBI Director James Comey told Congress the agency already has its hands full with active ISIS investigations in all 50 states. Yet the call for the U.S. to take more Syrian refugees has been incessant since last year, with the most public demands coming from Miliband’s organization as well as from the Lutheran Immigration and Refugee Service and the Hebrew Immigrant Aid Society, which started out as a rescue mission for persecuted Jews but now relocates mostly Muslims to the U.S. The Lutheran Immigration and Refugee Service issued an alert to its supporters this week asking them to pressure the Obama administration to increase the number of foreign refugees accepted into the U.S. from 70,000 in 2015 to 200,000 in 2016. LIRS wants Obama to bring in 100,000 from Syria alone. Like the IRC and the Hebrew Immigrant Aid Society, the Lutheran group gets paid by the federal government to resettle refugees in U.S. cities and towns. Sign the national petition telling Congress to stop all refugee resettlements unless first approved by the local council of the receiving community. ISIS, meanwhile, continues to take advantage of Western blind spots, where mere mention of the word “refugee” tugs at the heartstrings of well-meaning Christians and Jews. ISIS spokesman Abu Mohammed al-Adnani this week praised the recent terror attacks in Australia, Belgium and France. “We repeat our call to Muslims in Europe, the infidel West, and everywhere to target the Crusaders in their home countries and wherever they find them,” he said. A Turkish foreign ministry official said authorities were actively working to clamp down on refugee-smuggling. He said since Europe accepts few refugees through legal channels, the demand for smuggling has increased. “Illegal migration has been an important issue and Turkey is effectively fighting against it,” the official, who declined to be named, confirmed.